I want to change the Site Logo of the Office 365 sandbox solution using C#. I also want to upload the image programmatically & store in sharepoint list (column of 'Hyperlink & Image' type). Not the answer you're looking for? Browse other questions tagged development sharepoint-online office-365 sandbox-solution site-logo or ask your own question. How to use dll file and resource files in Sandbox Solution of SharePoint Online (Office 365)? How to update Excel Sheet In SharePoint 2010 (Sharepoint Online)? 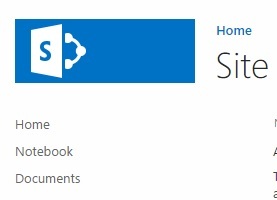 How to change the SharePoint 2013 logo image dynamically? change sub-site master page in office 365 SharePoint?